Notepad++ tends to be the most preferable application for the coders. What makes it one of the most versatile text editors for Windows is its customizable GUI, syntax highlighting and syntax folding, multi-document and multi-view, and macro reading and playback features. Coders are fond of this application as it brings out best for them, not only the coder but the normal writer also. These fans prefer using Notepad++ only. Being a fact that the Notepad++ is no available for macOS, so, if you are planning to move from Windows to macOS then there is no need to worry as macOS has many text editors that are equal or somewhat better than Notepad++. So, here is a list of best 10 options of Notepad++ that can be used on macOS. Sublime text is the alternative of the Notepad++ on Mac. Sublime is the most reliable and trusted text editor. Features that bring sublime text to respected field are syntax highlighting and folding, customization is also productive, simple and sorted user interface, multiple selections, the package works on ecosystem with great API. Sublime text is the most top picked among mac users. “Goto Anything” feature is the most favourite sublime text. Ctrl + P is the simple keyboard combo to launch Goto Anything feature. If you want to jump to symbols, lines or words just press ctrl + P. combining this will let you to use features like split editing, Goto Definition, Command Palette, batch editing, and instant project switch. You can use sublime text as a cross-platform in macOS, Windows, and Linux which are major platforms. A single license may help you to work fluently in as many computers you want to. 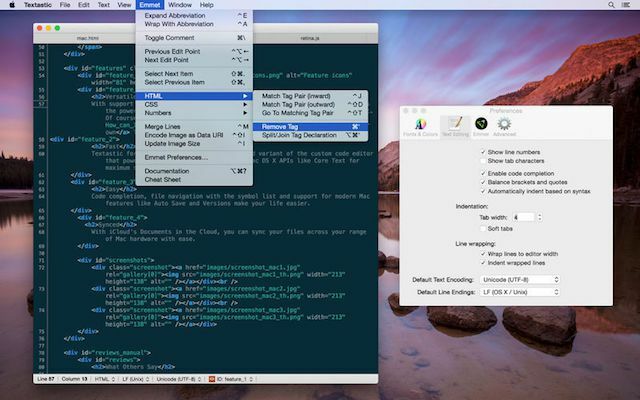 A free text editor that can work on your mac very easily. web-design, front-end developers and web designers are the areas it deals in. Adobe designed this and it has support of active and passionate community. Live Preview is the best feature of Brackets. All the changes in the code can easily seen by Live Preview feature. 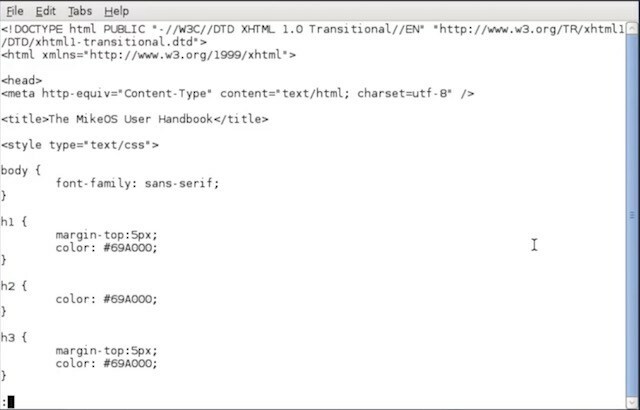 Any changes to CSS and HTML codes can be seen automatically in chrome window which is opened by Brackets. If you want to visualize your code this the best way. Extract is the second feature of Brackets from which you can get font, gradient, color, and measurement information from a Photoshop Document file. Inline Editors, Quick Edit, Preprocessor Support, JSLint and more. 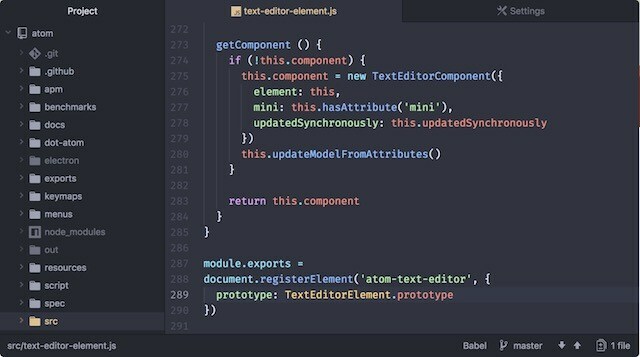 Packages let you add features to Atom with Bracket’s extension. Autoprefixer, Beautify, Emmet, Minifier, Brackets File Icons and Bracket Gits are the popular Brackets’ extensions. You can buy UltraEdit with some other UltraProducts available in the market like UltraCompare, UltraEdit suite, IDM and UltraFinder access. Every Ultra product comes with different functions like if you want to see the history of your documents and projects, you can use UltraCompare and you can also compar your files with this product of Ultra at any point of time. For more information on UltraEdit bundles click here. One of the oldest and popular text-editor is BBEdit. BBEdit is available since1992 which occur at a date earlier than macOS as it is known today. BBEdit’s has been there for more than 25 years which itself shows its glorification. One of the best text editor and HTML for macOS that people use today is BBEdit. It not only helps in simple text editing but also enhances HTML and rich text editing. The app itself has many features that includes built-in tools text manipulations, complete set of HTML Tools, Hard Wrap, correct markup, multiple files manipulations, placeholder options for easier site maintenance, extensive file handling capabilities, customizable syntax coloring support for over two dozen built-in languages and much more. You can get a one-month free trail of the app so that before buying the software you can test it thoroughly. If you are running low on your budget but want to use it, then you can use TextWrangler. It is a product from the same company and runs on the same technology that BBEdit uses. But the limitation with this is that it has fewer features than BBEdit. This app supports iCloud sync, which according to me is one of the best features that this app has and it ensures that your work is synced across various devices and you don’t have to do anything. Not only that it is present on Mac but Texastic also has an Ios app. This app is compatible for both iPhones and iPads. The biggest advantage of having this app is that at a very low price it gives various text editing. Coda 2 as a text-editor is a hard-core tool for all the web developers. Coda 2 has various features including syntax highlighting for tons of languages, project-wide autocomplete, find and replace, code folding, automatic tag closing, indentation guides and fast commenting and shifting of code. In addition to all these features, Coda 2 as a good text-editor brings various text features that are specifically designed for the web developers. Coda 2 also has a deeply integrated file management system. Developers can open local files and in addition to that they can also edit remotely on SFTP, FTP, WebDAV, or Amazon S3 servers. Coda 2 also has a built-in WebKit Preview which includes a debugger, web inspector and profiler. It also has an extensive list of plugins that adds up many extra features. 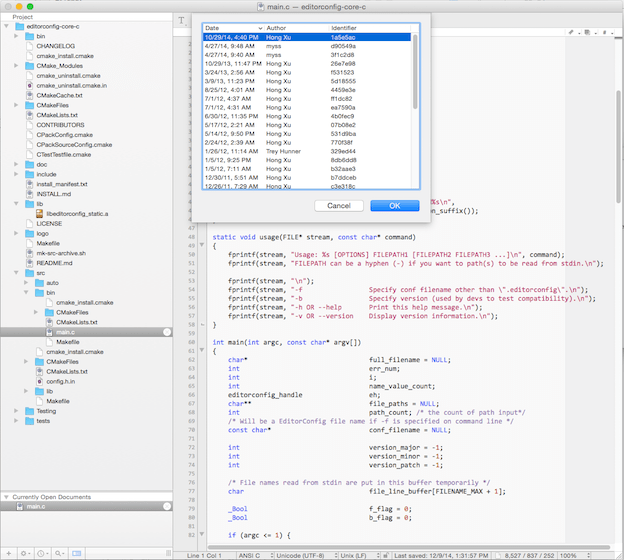 CodeRunner 2 is a pocket friendly text-editor that is specifically designed for a Mac. It can also be specified as a highly flexible and easy to use text-editor for Mac. CodeRunner 2 features a full-blown IDE-level code completion for most languages. This app supports various languages, to be exact it counts to be to almost twenty-three which includes languages like C, C++, AppleScript, HTML/CSS, and more. This app also includes various other features that include support for TextMate themes, automatic indentation support, file navigator, intelligent bracket matching, live run statistics, multiple matching and much more. 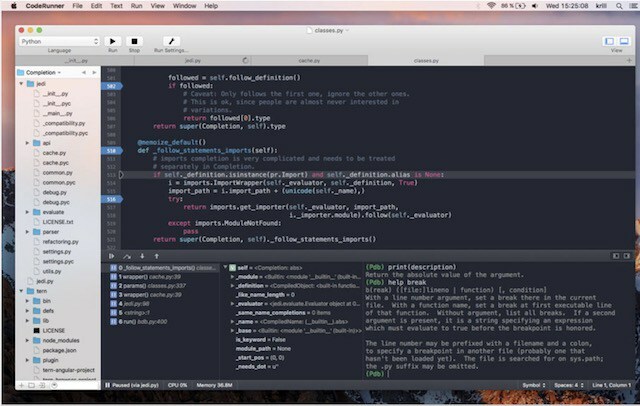 In case if you are looking for a powerful and affordable text-editor for your Mac, then CodeRunner 2 is a good choice. 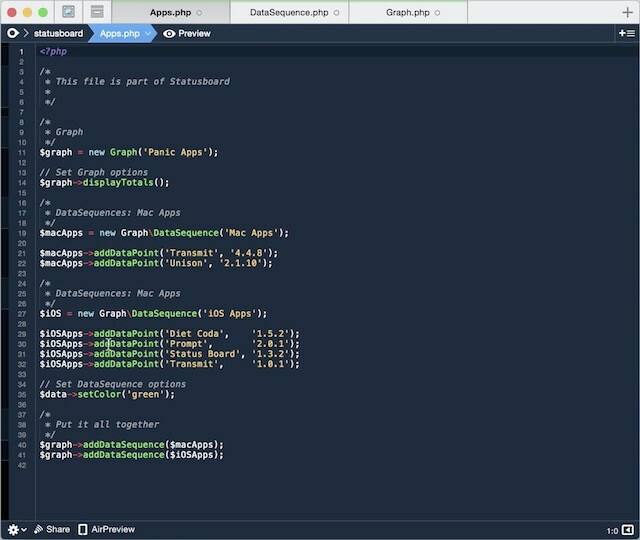 Visual Studio Code is developed by Apple’s Arch-rival Microsoft. It is the best text- editors for your Mac. It can use for highlighting more than 30 different languages, lighting fast source code editor, keyboard-centric and code-focused editing, regex support, autocomplete with intelligence, git control and automatic real-time API description. 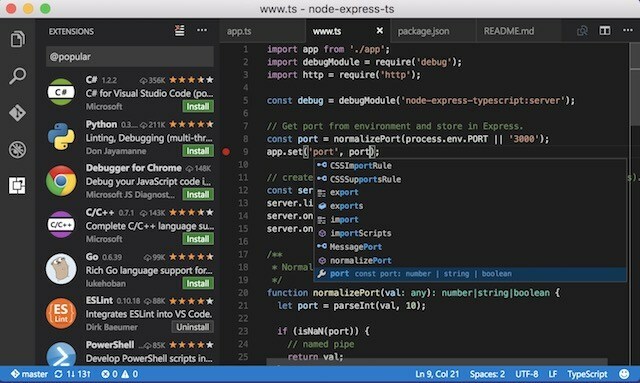 A lot of extra functions can add by Visual Studio Code as it supports extensions. GIT Lens, sublime text keymap, angular essentials and debugger for chrome are the topmost extensions and they are completely free of cost. The extremely powerful Unix text-editor vim is MacVim which is the Mac clone of long standing. Every plugin which is there for original Vim text-editor work fantastically fine with MacVim. This is he best part of MacVim. Each and every single question is answered by the strong community of MacVim. This can be used by the people who are already familiar with interface and UI of the Mac. It is a little bit hard for new users to get used to. It have a lots of functions which comes for free. There are some easy text-editors for you in this list. You can find an app which is best for you from this list of best Notepad++. Try some of them and find out which suits you best. Most of them are for free some charges a certain amount of money. You don’t have to pay more to find out which suits best for you. When you find one for you let us know which suits you best. List of best alternatives of notepad++ of macOS.